The official first day of summer is just two days away! I’ve been calling it “summer” for weeks now- everything is green and lush and colorful and warm (I’m ignoring that pesky snowstorm we had a couple of days ago). 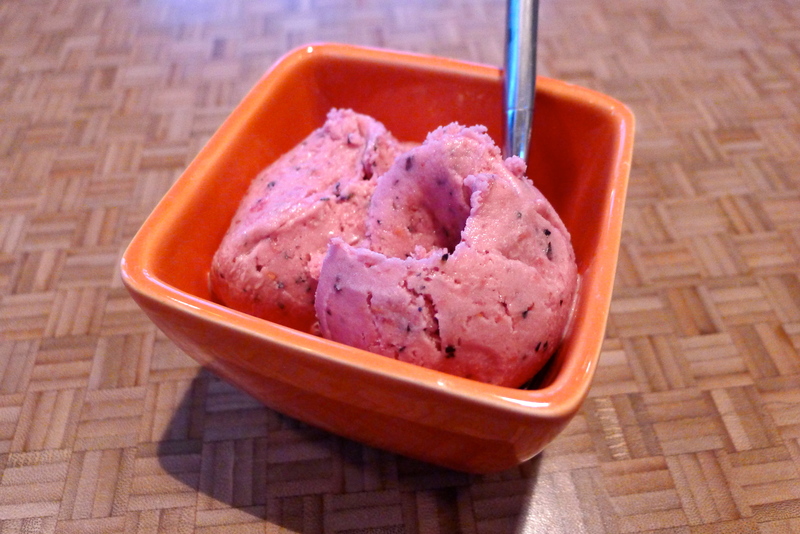 I’m putting together a list of things I’ll be enjoying this summer, and homemade ice cream is definitely on it. 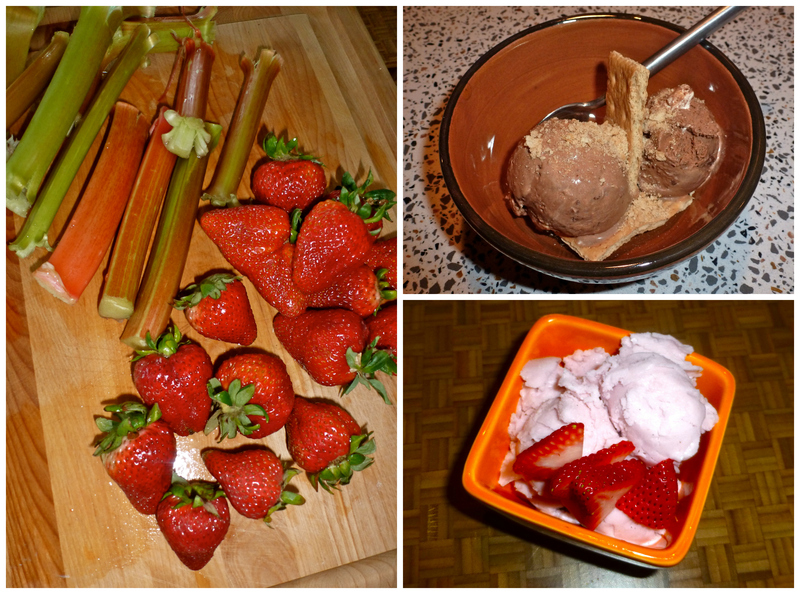 Last year, I treated myself to an ice cream machine and made some scrumptious frosty treats: s’mores ice cream, strawberry-rhubarb ice cream, and strawberry-coconut sorbet. Yum! 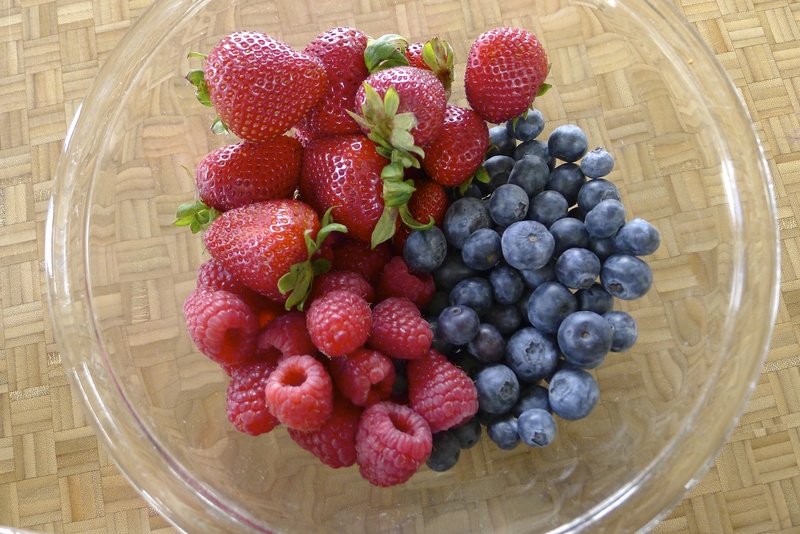 I actually prefer chocolate-y or caramel-y or mint-y ice cream over fruity, but this week, I had some beautiful berries to use up. 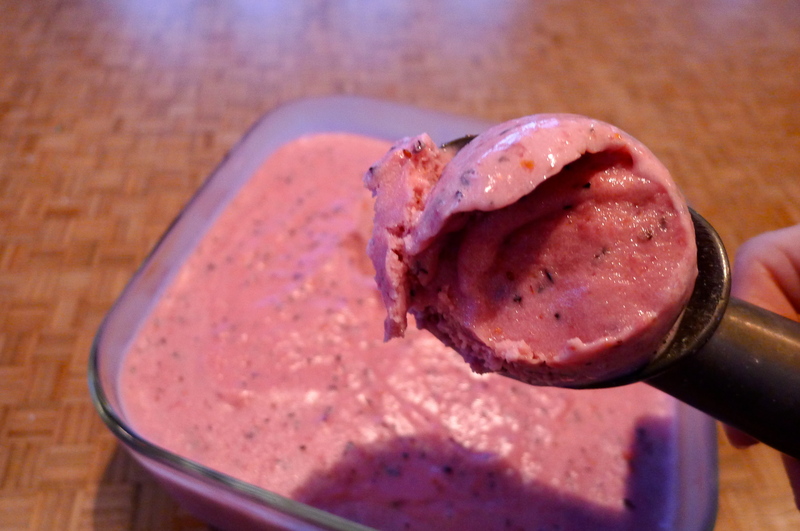 I found an interesting and easy recipe for blueberry ice cream made with sour cream, so I decided to tweak it and add strawberries and raspberries, too! 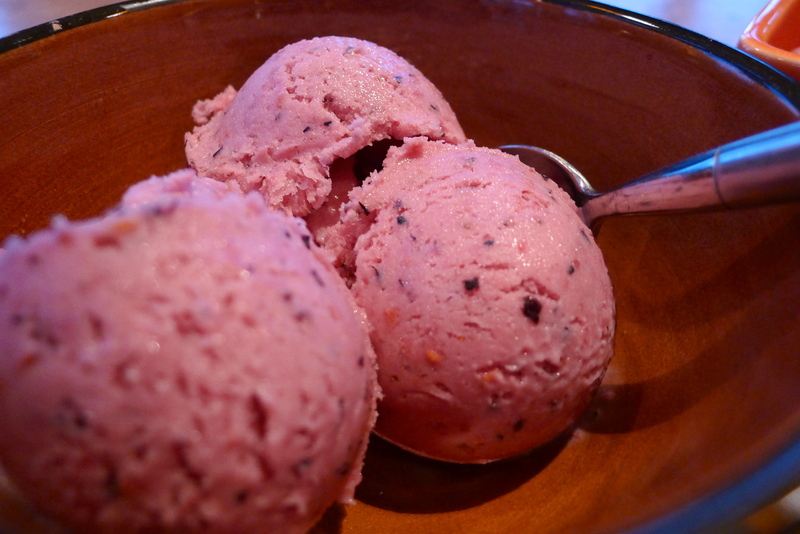 Making ice cream is often super simple, but it takes a little time and patience. 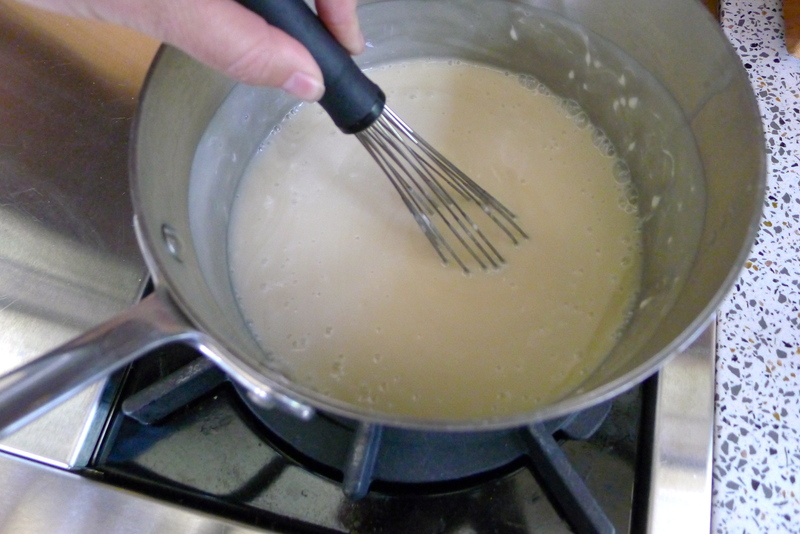 I started by stirring sugar into some half and half on the stove until the sugar dissolved. 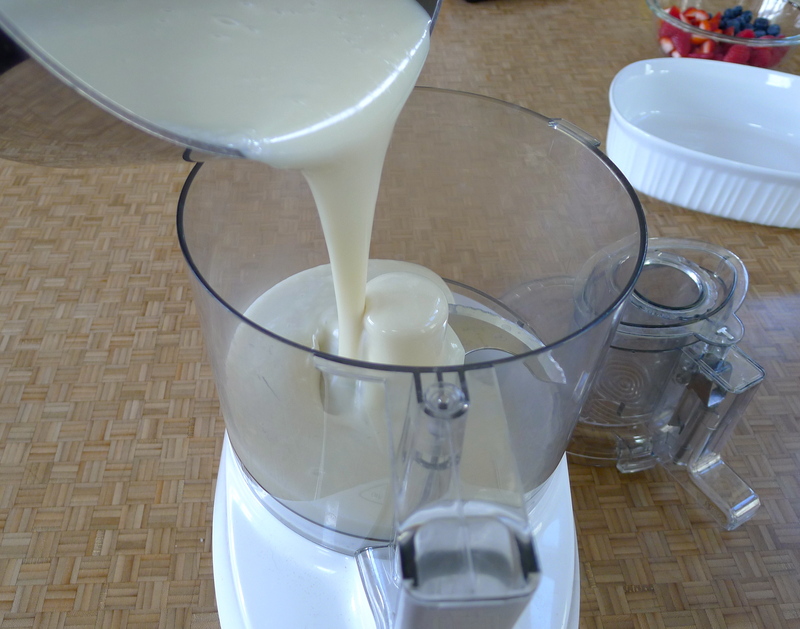 Then, I added some sour cream (off the heat) and whisked it until it was smooth. I snuck a taste- YUM! 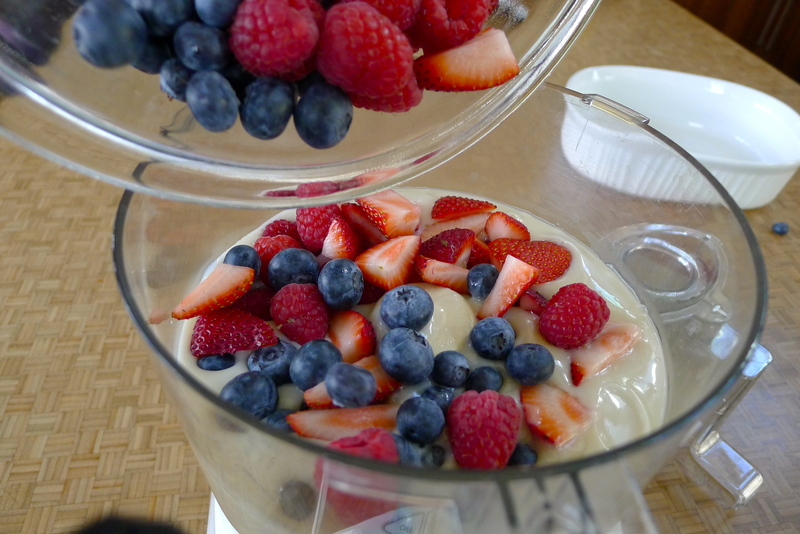 The sweet, gooey mess went into my food processor, along with all of the berries, some lemon zest, and lemon juice. 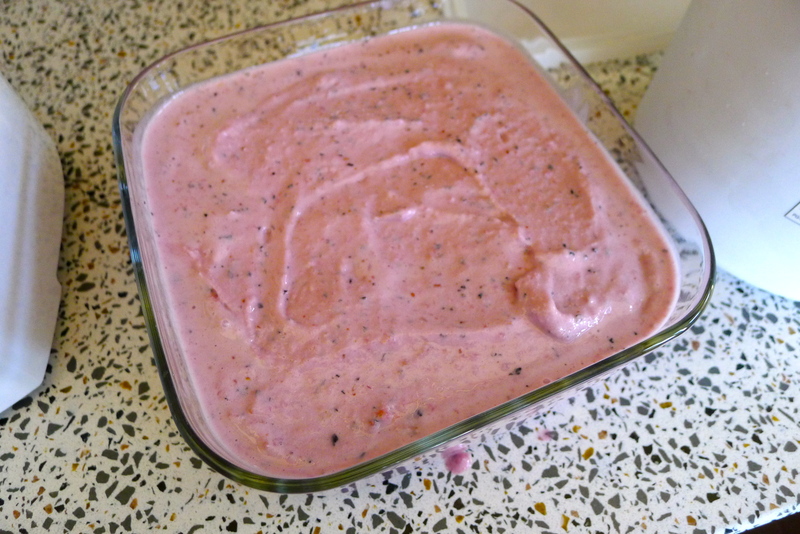 I blended it into a smooth-ish pink mixture with beautiful specks of berries in it. 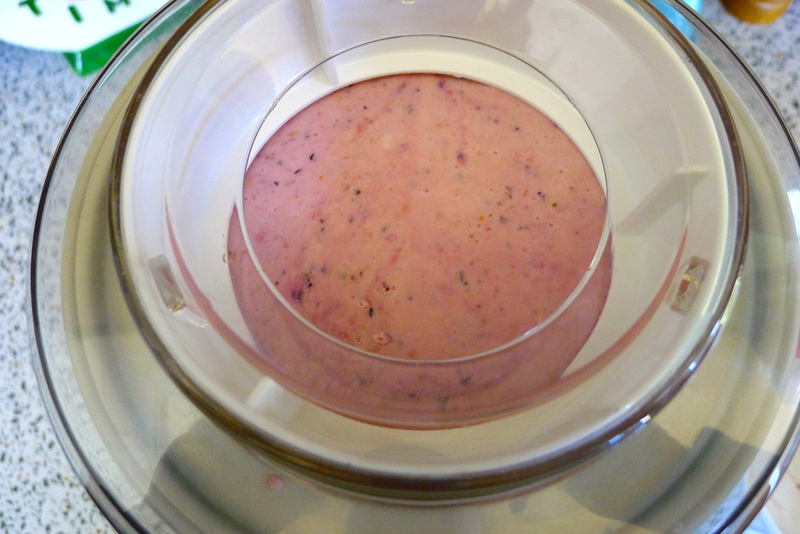 The mixture sat in the fridge to cool down for a few hours before I poured it into the ice cream maker. I have wonderful memories of making homemade ice cream with my Grandpa when I was young, with an old-fashioned ice cream maker. We had to add ice to it, and rock salt, and then we had to wait for the machine to noisily do its job (not easy when you’re 8 years old!). 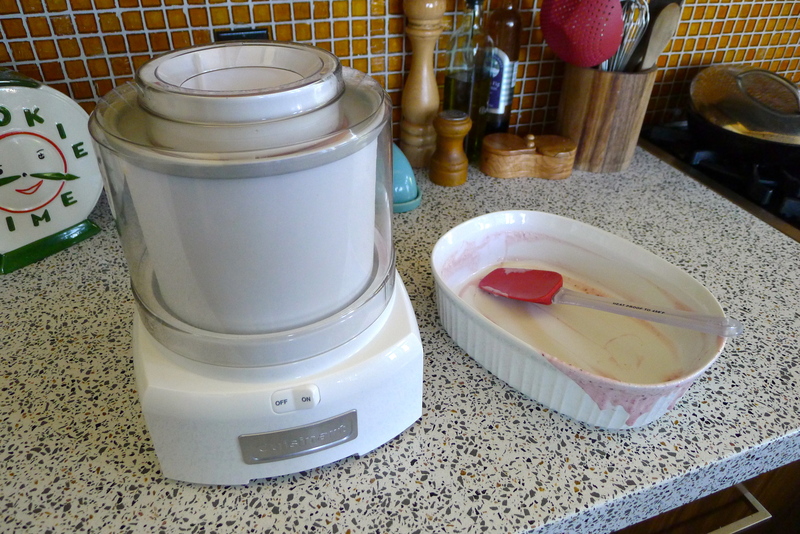 My newer ice cream maker doesn’t sound just the same, but the whirring brings me right back to childhood- a kid impatiently waiting for ice cream to freeze so I can taste it. 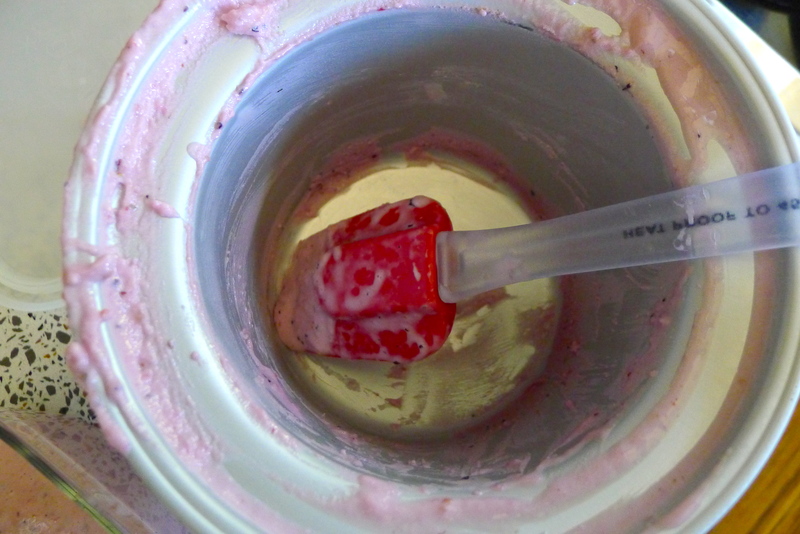 Once the ice cream maker had done its duty, I scooped the soft serve into a container to freeze up into true ice cream. More waiting! 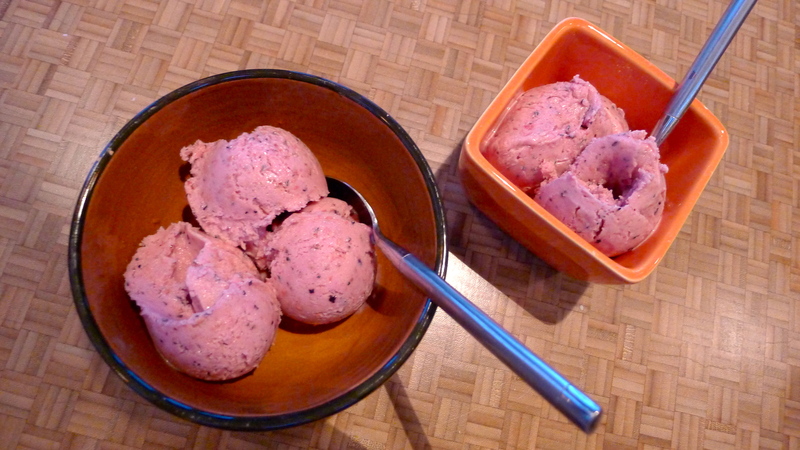 Finally, we scooped bowlfuls of mixed berry sour cream ice cream and dove in, spoons first. 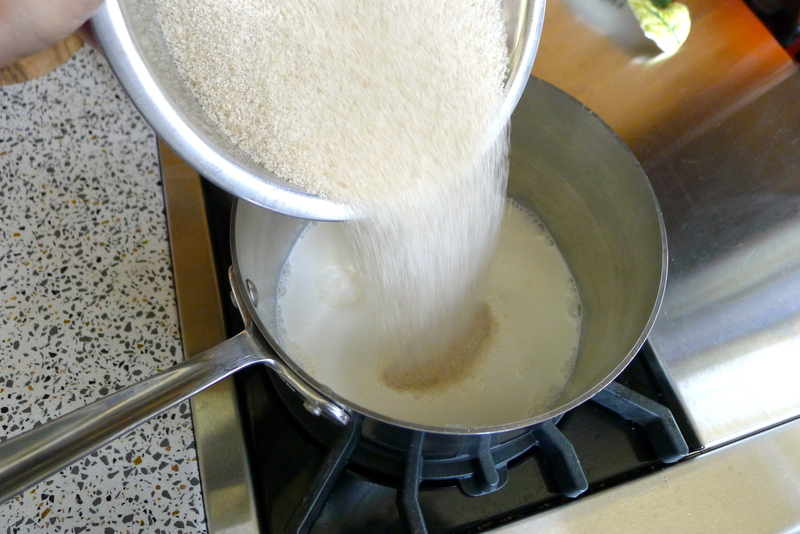 In a medium saucepan, heat half and half and sugar over medium heat, stirring until the sugar dissolves. 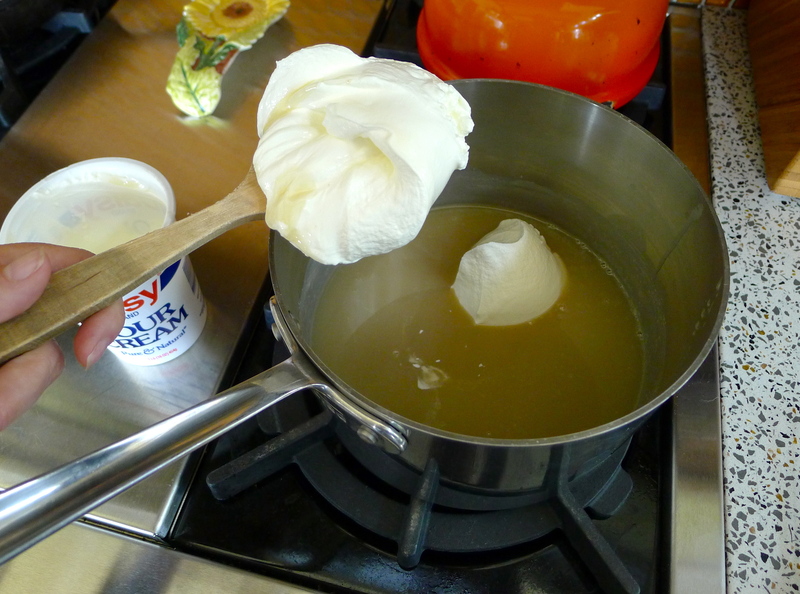 Remove the pan from the heat and whisk in the sour cream until smooth. 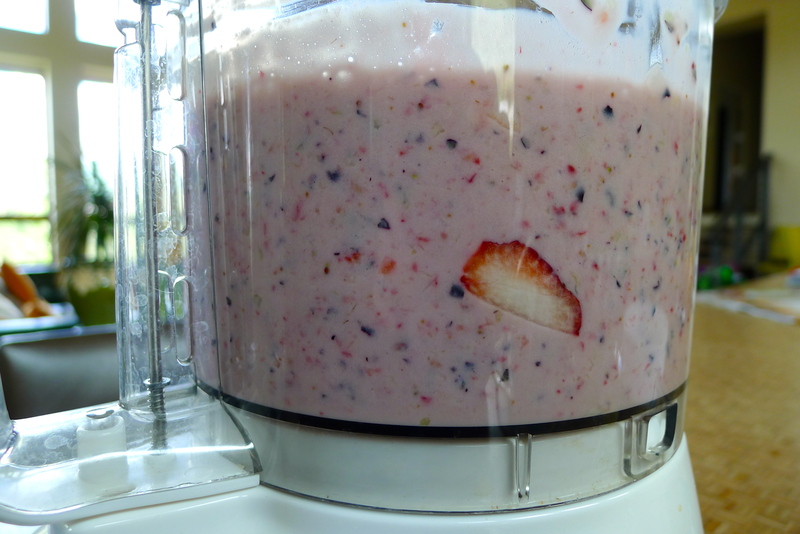 Pour mixture into a food processor. 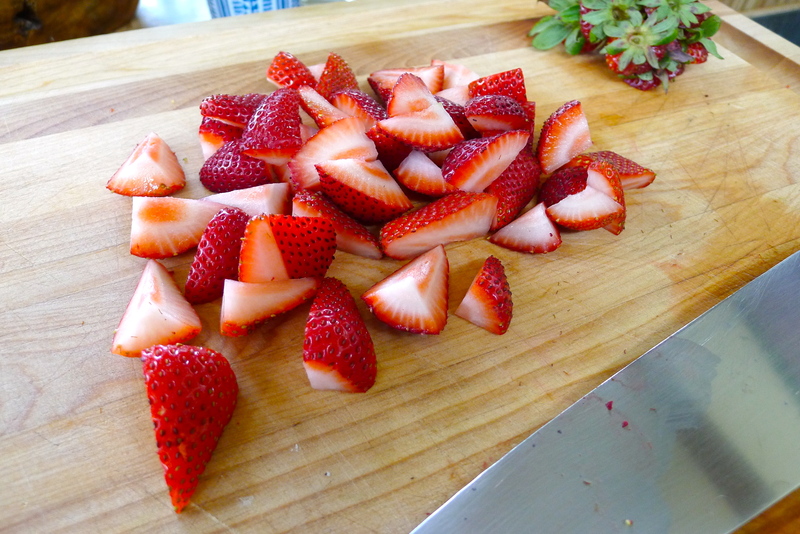 Add berries, zest, and lemon juice and blend well. 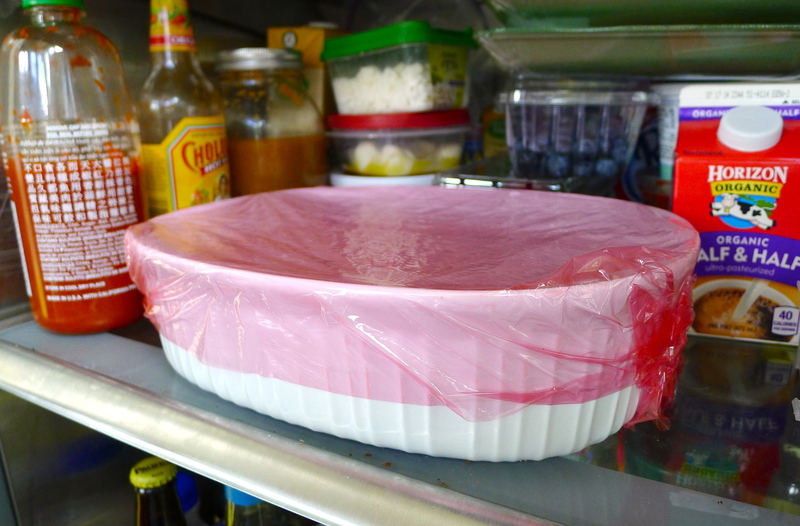 Pour into a container and chill mixture in the refrigerator for about 2 hours. 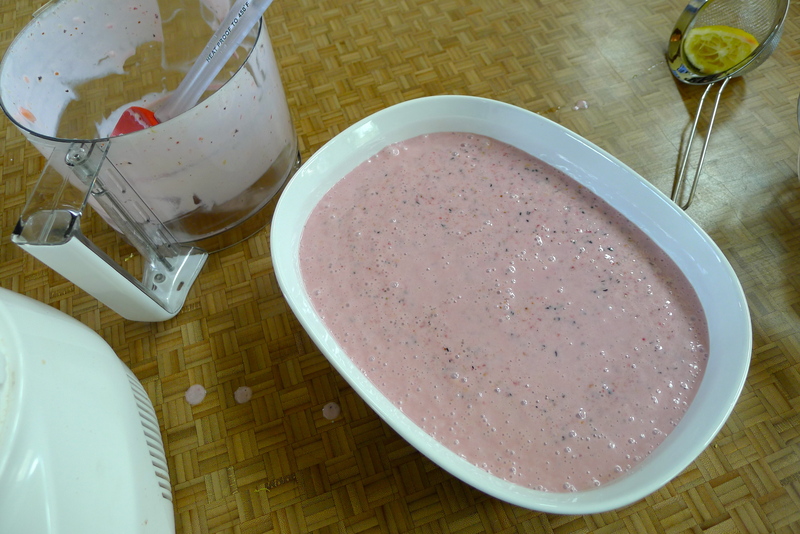 Pour the berry/cream mixture into an ice cream maker and freeze for a half hour or so. 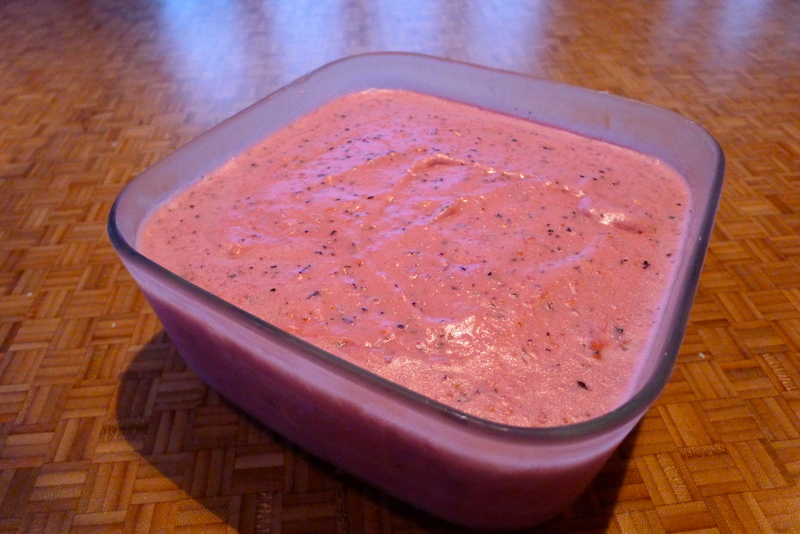 Scoop ice cream into a container and freeze until firm, about 4 hours. Clink a spoon to summertime fun. Yum! Hungry for more? 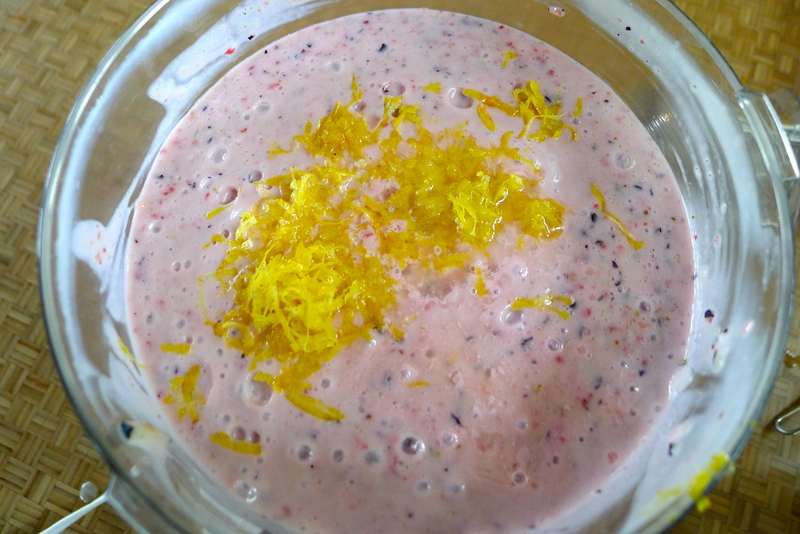 Check out the collection of recipes on the FOOD BLISS page. I am drooling and really could use a spoon – YUM 🙂 Great Share – Happy Thursday! Have you thought about making a cook book. You should! Most of the things I make are from others’ recipes, with a tweak or two. I don’t have enough of my own creative stuff to put together a book! Maybe I need to work on that! 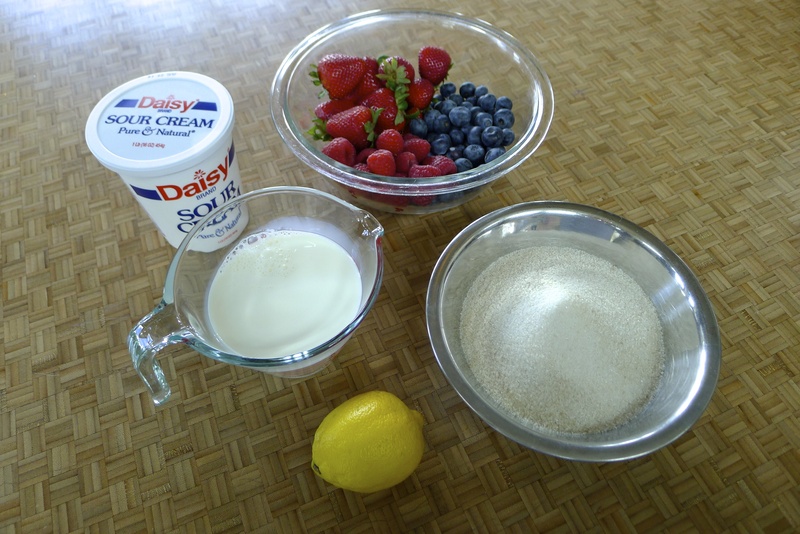 I never would have thought to use sour cream… interesting addition! This looks delic! 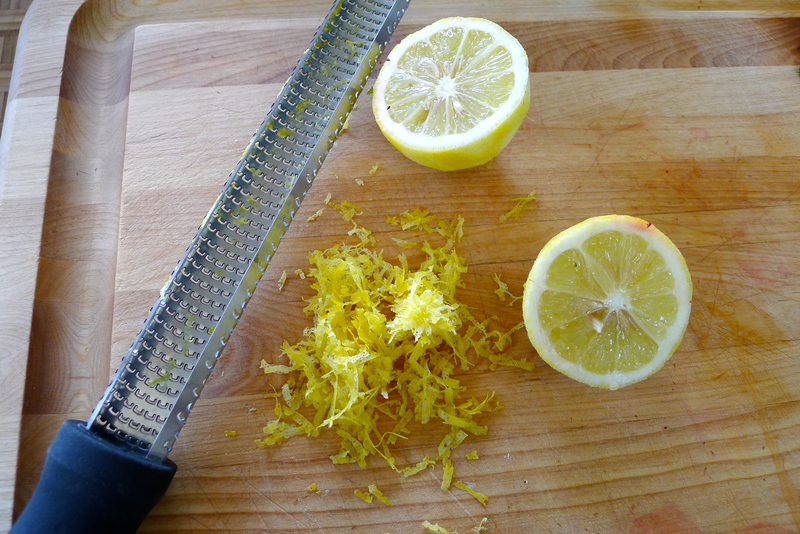 As a kid we did the home-made ice cream thing with a hand machine, ice and salt. It was such a process. My Dad would turn that handle for what felt like hours to a kid waiting on the end result. My folks made a nut and peach ice cream that I can still taste, some 35 years later! It always became a bit of a social event with friends and neighbours joining in. I have similar memories of my Grandpa getting things started on the hand-crank machine, then us kids taking turns. It was hard work to get to the good stuff!